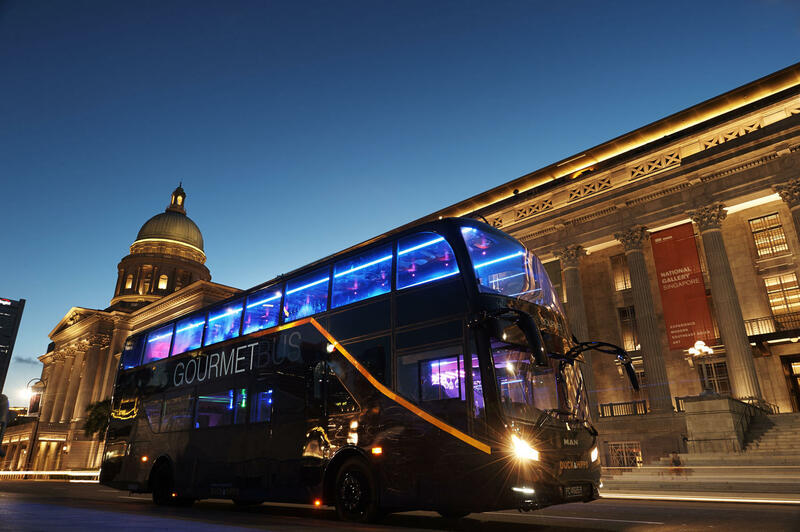 A first-of-its-kind dining concept in Asia, the Singapore GOURMETbus combines scenic city tours with the enjoyment of a specialty meal. 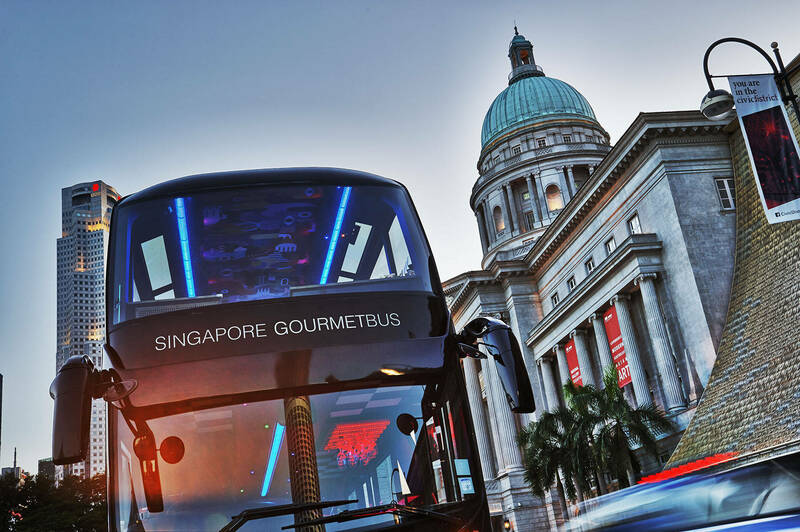 Now, enjoy the best of Michelin’s Bib Gourmand Award local fare in its cool, air-conditioned interior, while cruising past scenic views of iconic landmarks. 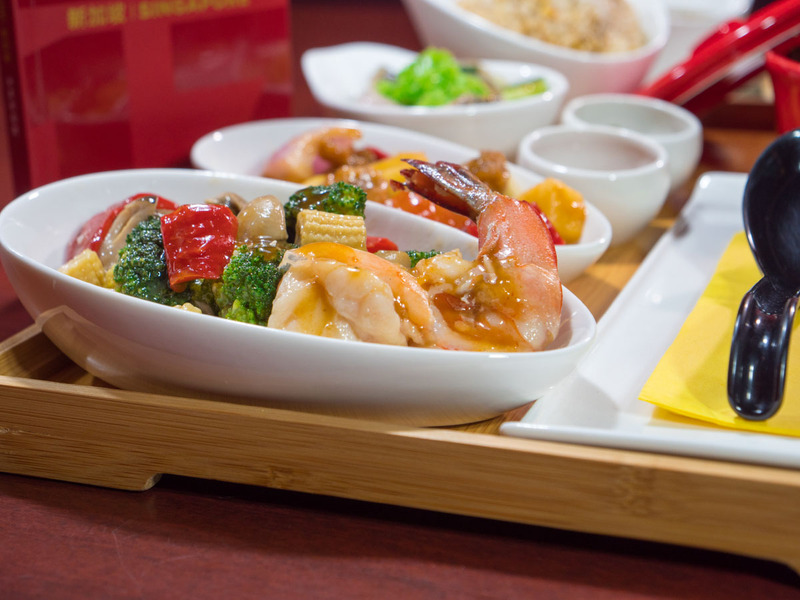 Forget long queues for multiple stalls, or sweating it out in a humid and warm hawker centre. We bring the food to you. 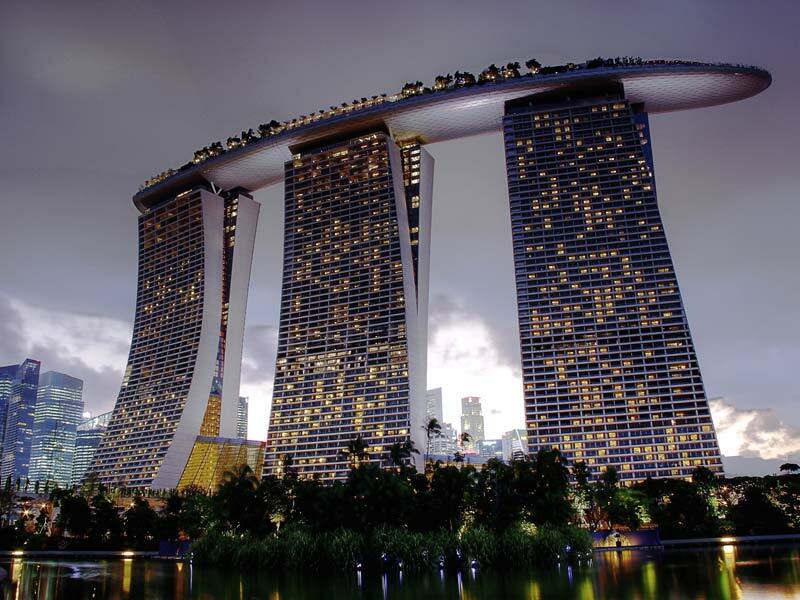 Take Home A Piece of Singapore. 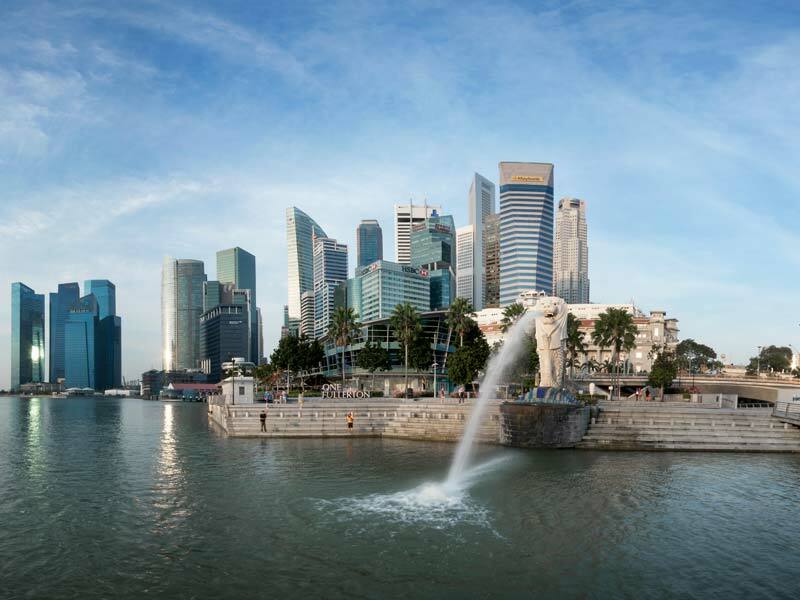 We created a truly unique way to experience Singapore - enjoying our sights while sampling the best of local cuisine, without the queues and the wait. 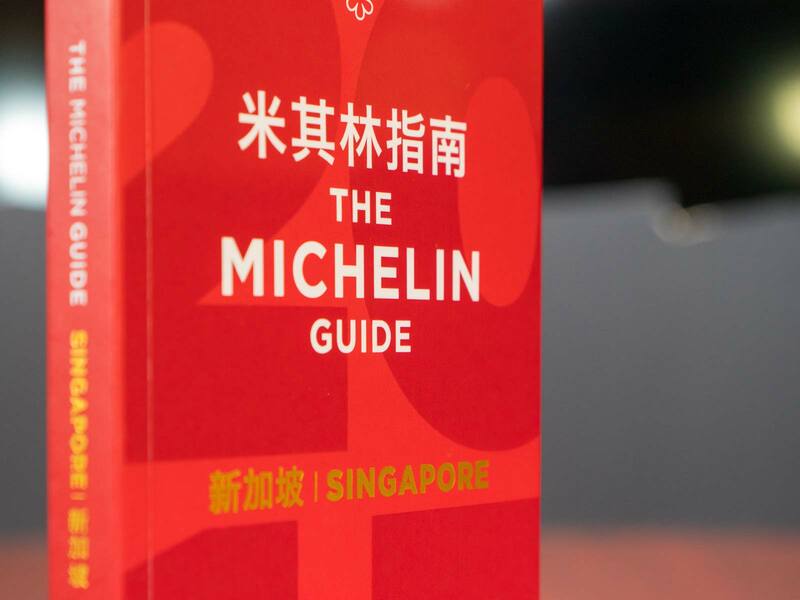 We curated the best menu from the MICHELIN BIB GOURMAND AWARD and present to our guests our three dining show menus. 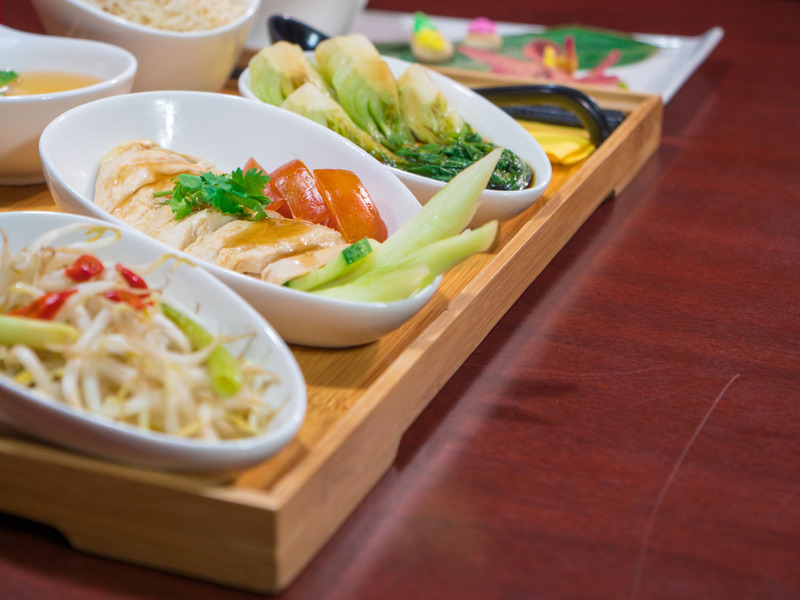 The Bib Gourmand is an award by Michelin Guides given to food establishments that offer a high quality menu at a reasonable price. 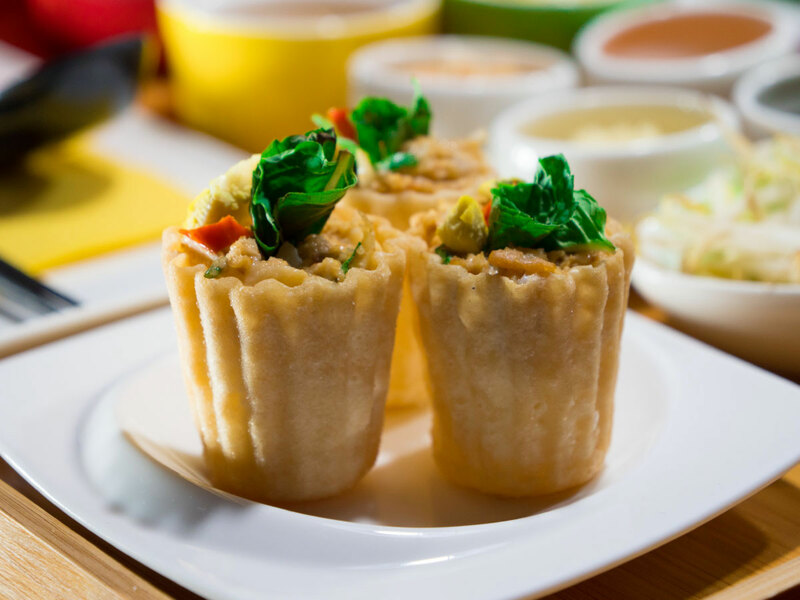 We are not related to the Michelin Guide but we are avid supporters of what they are doing and how they are making the local dining scene more exciting. Bib (Bibendum) is the Michelin's nickname for the Michelin Man, their corporate logo for over a century. See iconic sights as your food is brought to you. 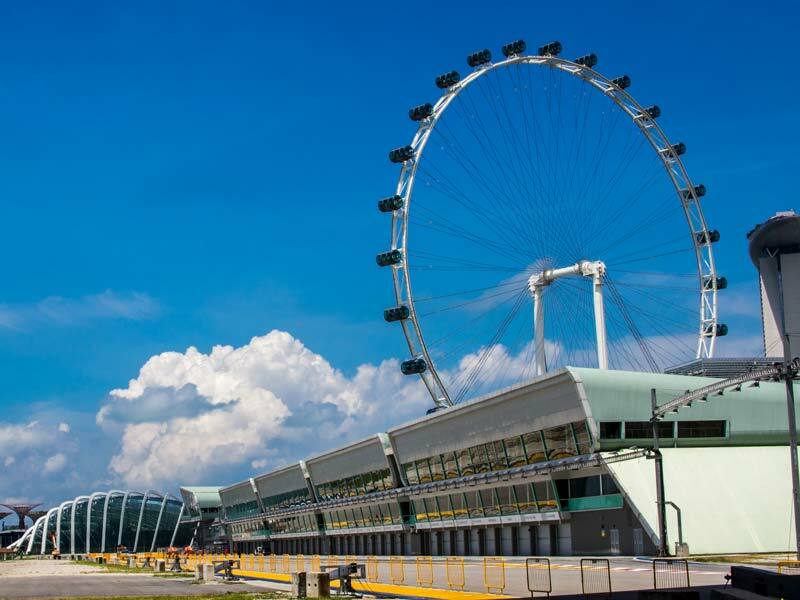 Enjoy your sumptuous meal while you travel past iconic sights– the Singapore Flyer, Merlion Park, Chinatown, among others. 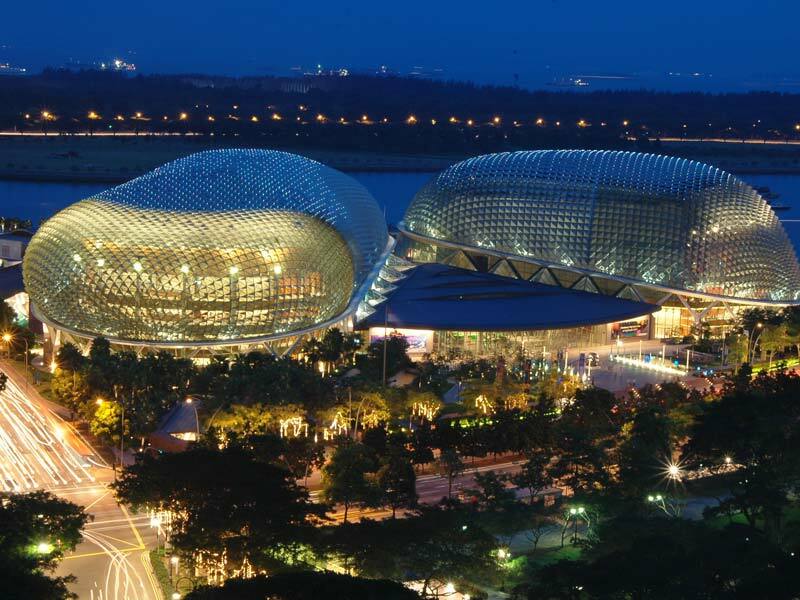 Hop off at Gardens by the Bay for a short stroll before returning to the bus for dessert. 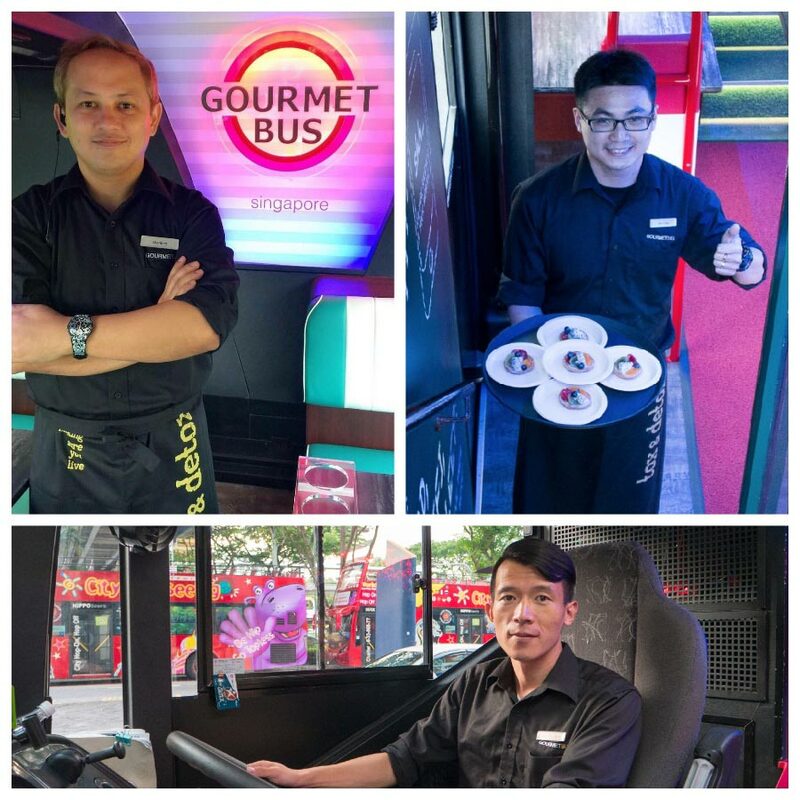 At Singapore GOURMETbus, everybody is at your service to offer the best moving experience possible. 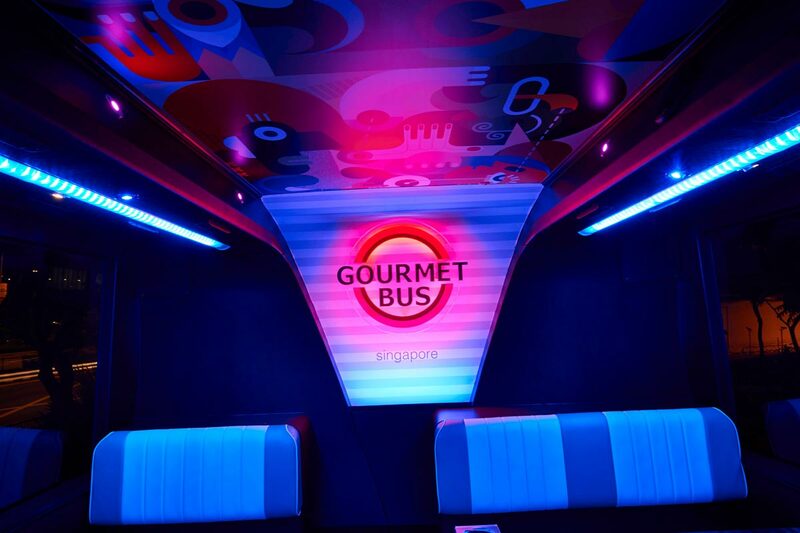 At GOURMETbus Singapore our aim is to match the breathtaking City setting with authentic Singaporean cuisine. Warm and knowledgeable staff will extend genuine hospitality as they guide you through your dining experience.